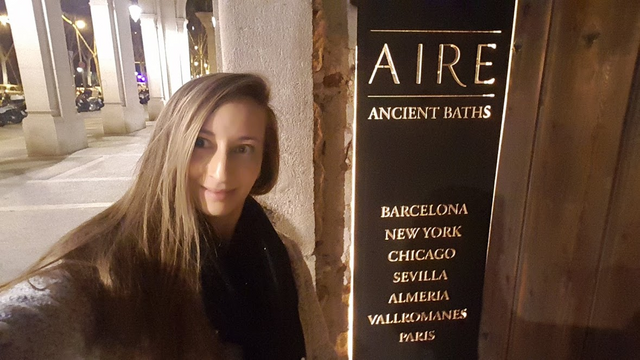 Today, I want to share with you my amazing experience at the "Aire" Ancient Baths! I'm really lucky to live in Spain ... It's an incredible part of the world! And especially in Barcelona which is a city full of surprises and fast-paced. 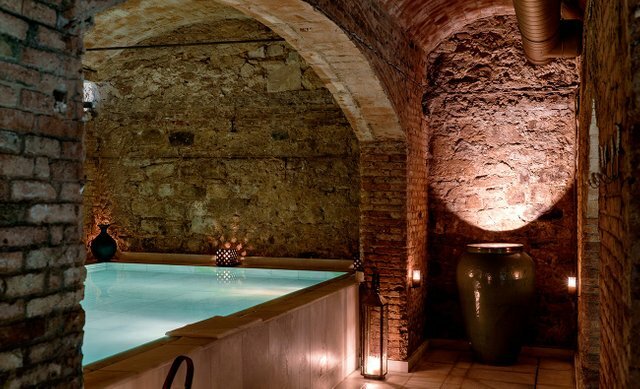 I discovered these ancient baths, where time does not exist! This old warehouse was built at the end of the XVII century, right next to The Cituadella parc. It's my favorite part of Barcelona. This temple was created to disconnect your mind and body from the reality. Are you ready for a virtual and relaxing visit my friends? When I arrived at this magical place, I was totally captivated by its atmosphere and beauty. As soon as you walk in the door, you are in another world, the world of relaxation. The staff is qualified and welcoming. You enter a cloakroom and are given a bathrobe and water slippers. Then you go down to the different ancient baths. There are baths of different sizes and temperatures. To begin, I tested the floating bath. It's an incredible sensation to you give yourself into the unrivaled sensation of floating. It was the first time I experienced this sensation and I really loved it! 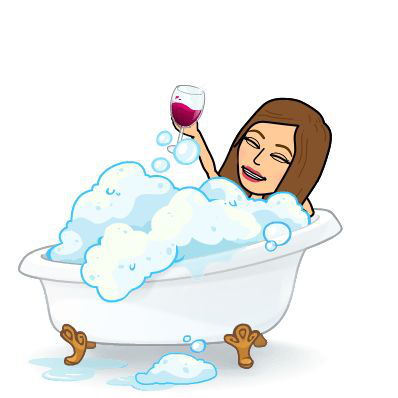 Then I relaxed in the jacuzzi and the hot water baths. I tried the sauna and the ice water bath! At first, I did not dare to go into the cold water but then you feel so well and refreshed. 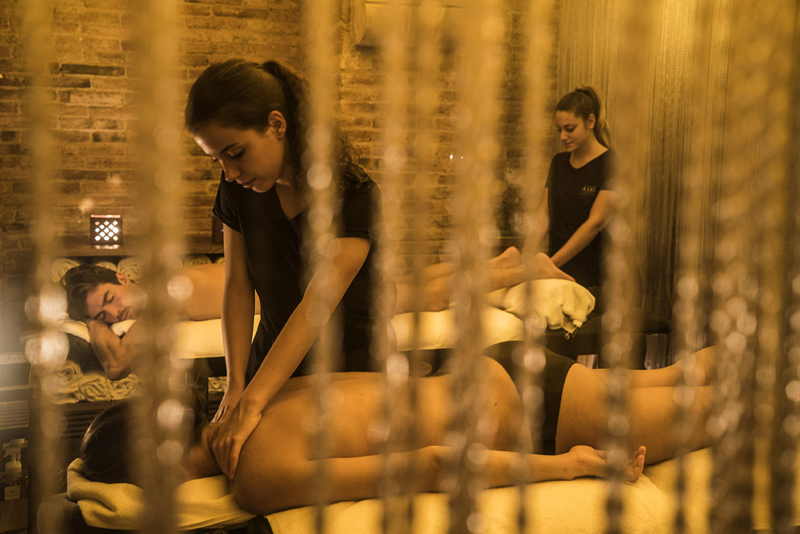 After this relaxing session, I savored a good Moroccan mint tea and then went for a massage. 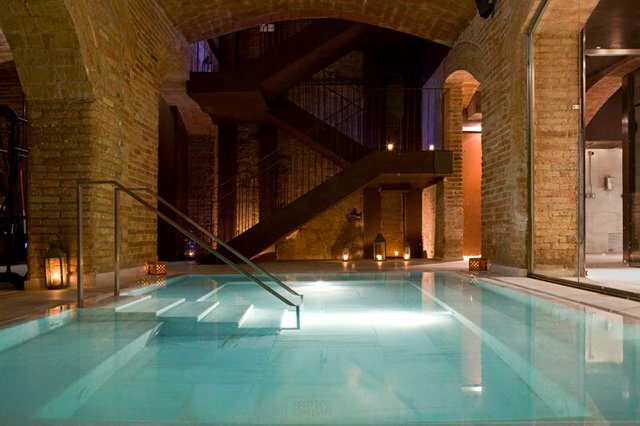 you can't visit Barcelona without having discovered The Aire! 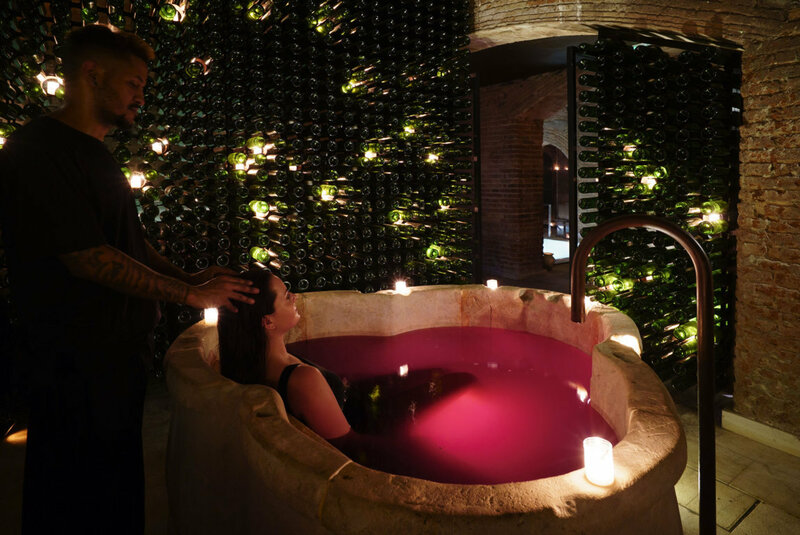 It is a perfect place for complete relaxation, alone, as a couple or with friends. The beauty of the place will leave you, without doubt, an unforgettable memory of Barcelona. If you do not live near Barcelona, know that there are five other temples like this one in the world, in SEVILLA, ALMERÍA, VALLROMANES, CHICAGO, NEW YORK, LONDON and PARIS! What do you think my friends? It makes you want to try ??? 🌞 Visit with me! #5- the Cardona Salt Mountain (Catalunia/Spain). 🌞 Visit with me! #4- 🏰 The Cardona Castle 🏰 (El Castillo Cardona) Spain. 🌞 Visit with me! #1- the "Park Guell" (Barcelona)! 🌞 One day in Begur, a hidden place with a wonderful natural pool ! If you liked reading this post, do not hesitate to vote, comment and reestem, it's always nice! Thank you very much for your support, my sweet followers! Hey flamingirl, You are back again with another good experience. O man, this place looks so awesome. I came from university after 12 hours and you can imagine how badly I need a massage right now. 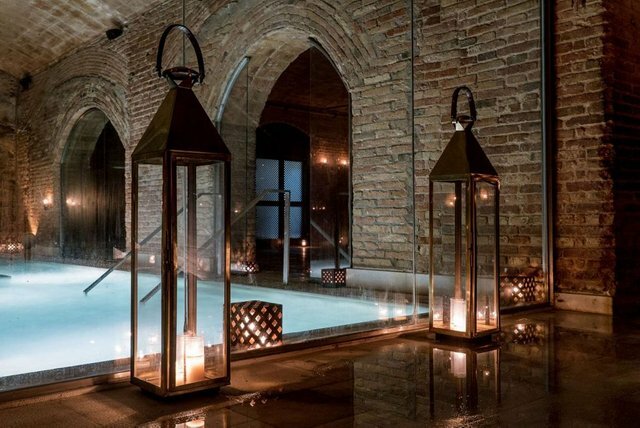 I am going to put these baths on my bucket list.Definitely will try in whichever city I go first. Exactlyyyyy, that's so true. You feel such a relief after massage. 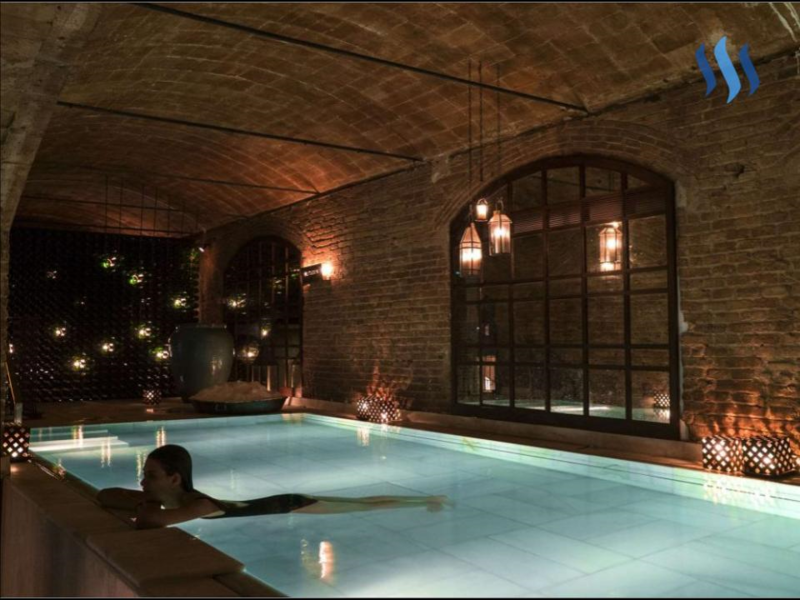 Spain sure is a great place and "Aire" Ancient Baths sure seems to be a great place all along ! I plan on visiting Barcelona with my wife next summer. Looking forward to it:) This looks tempting! No, I'm just saying what I think. See, it's one of those candles that don't have a wick, so instead you use a candle warmer to make the room smell good. It's really nice to be able to experience this beautiful place via your shared experience! I'll have to look at some of your other posts too! Thank you for sharing! Looks like the place is flaming with beauties 👌 . Looks very relaxing may be has some unique feel. I wish i could say, " Barcelona , I am coming.... 😍"
How long have you lived in Barcelona? exactly i feel i'm also in this place . you are great story writer . i like this place barcelona . and one day i will visit this place . you photo also nice. Thanks @flamingirl for sharing beautiful blog. Thank you very much! I try to convey my impressions and my feelings in another language than my native language and it's not easy ^^ Thanks for the compliment! Steem on my friend ! Spain must be a nice place to relax.. Spain! Here I come.. I would like to visit this place, I followed. I hope you flollow back! This looks really relaxing and magical. Will definetly make a point to visit if I'm ever in Spain. It is a perfect place for complete relaxation. Es hermoso ese lugar! Me encanta la ambientación que tiene. Me gustaría pasar un día allí para sacarme todo el estrés jaja. Saludos! Muchas gracias por tu comentario @raiser! Saludos de BCN! Amazing. Looks like a great one in NY too. Got to try it! I'm so glad I read this post, thank you. @flamingirl has informed us, I like you. Looks so cool. I would love to live an experience like that. This is such a beautiful place. You truly are lucky to be living there, and I'd love to go there someday. I'm new to steemit and think you'd really like my page! Send me a follow, I just followed and upvoted you. Permission right I said to the friends steemit. Follow you very I expected. On the attention of his I say thank you. This place is amazing! I guess the massage there was heaven! Was the total experience, jacuzzi, spa and small treat, expensive? I love Barcelona! I have visited there twice in my life. Ahhh seems like the perfect place to visit!! Looks like a dream! i want to be there and enjoy that beautiful place.. looks so relaxing. Great Review, looks an amazing place to visit! On my Bucket list for sure. Wow, seems super relaxing! Thank you for sharing. Can't wait till we get to visit Barcelona! That looks lovely! Next time I go to Barcelona I'm definitely going there! Very cool post! Thanks for the detailed pictures.